I was watching TV tonight and the show mentioned gratitude being the shortest lived human emotion. 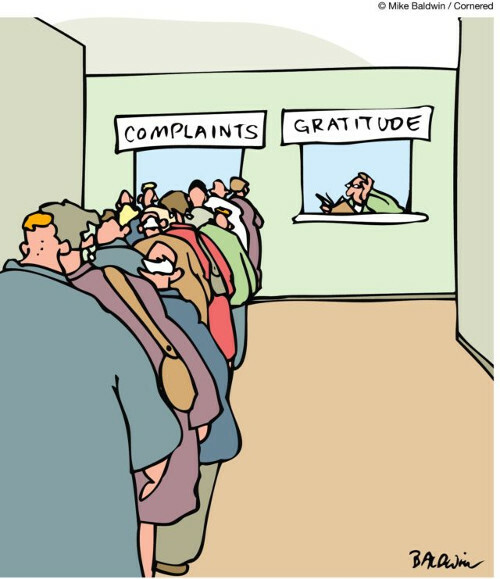 I don’t know if that’s true or not, but gratitude is certainly something lacking in the world. As a Christian, I’ve heard untold numbers of sermons admonishing us to love God, serve God, and be thankful to Jesus for his ultimate sacrifice. Much less talked about is Christ’s call to love our fellow man, Christians and sinners alike. Christ forgave those who were actively killing him, and willingly gave his life–for possibly the greatest sin the world has ever seen. In that light, how much do we owe our fellow man? How much more to those who have shown us even the smallest act of kindness? Please consider the following scripture, and I invite you to comment on others that fit the theme of graciousness, gratitude, and love toward our fellow man.